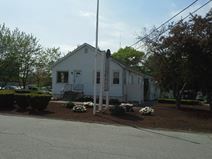 Situated on the site of Nashua airport this facility has professional business support staff and two conference rooms. Its location makes it ideal for international travel. 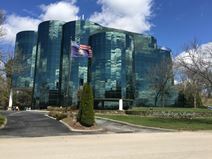 With a number of exquisitely furnished and technologically sophisticated office suites available to suit individuals up to large multi-employee companies this center is located conveniently off of Exit 7, Route 3 in Nashua, NH. The regional transportation links present in the area are excellent, with a multitude of convenient and frequent services in operation across extensive road and rail networks. This serviced office center is situated in a Class A building in landscaped grounds. Amenities include high-tech IT and a heliport. This address provides easy access to Boston, just 35 miles away, and the nearby Daniel Webster Highway boasts an array of eateries and shops. The regional transportation infrastructure is also first rate and provides numerous travel services to allow both tenants and visitors to easily reach the building. 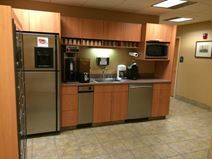 Executive suites located in this facility close to the Daniel Webster Highway and less than 20 miles to Nashua and to the Airport. This facility is also close to many nearby hotels and to neighbouring MA. This service centre offers conference rooms, and offices with different size specifications and convenient parking.